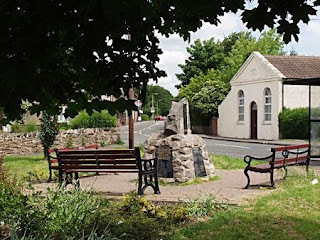 It is now time to move away from Somerset and my 13th century ancestors the Mohuns and from the Mitchells my 19th century ancestors in the county of Cornwall and travel all the way up country to Leicestershire. Thringstone in Leicestershire was the home of my 4x great grandfather James Toone, he was born there in 1767. Thringstone is a village in the north east of the country, many of its inhabitants at that time were employed in the frame work knitting industry, but with the arrival of the cotton mills my family were forced to find work elsewhere and that meant a move to the coalfields of Nottinghamshire and Yorkshire. 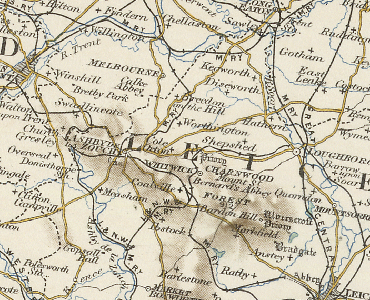 Just over two hundred years before the birth of James there were only twenty six families in Thringstone and only forty two in the two neighouring villages of Whitwick and Swannington. Where was everybody? Well, in the late 14th century the Black Death devastated the village seeing off nearly everybody. "And now I shall tell you of the noble Earl Thomas of Lancaster. When he was taken and brought to York, many of the city were full glad, and upon him cried with high voice "Ah, Sir Traitor! Now shall you have the reward that long time you have deserved!"" 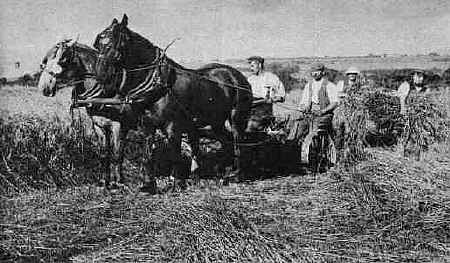 During the eighteenth and nineteenth centuries Cornwall had grown prosperous from agriculture, unlike today, agriculture was the mainstay of the counties economy, an economy which was based on small farms, most with under one hundred acres of land that specialised in dairy, stock rearing and horticulture. Horses had replaced oxen and winter crops were grown and the potato was the staple diet of the poor. A thriving market gardening industry appeared towards the end of the 1900’s growing spring crops such as carrots, cabbages and onions. It was during this period that my 4x great grandfather, William Mitchell, farmed over 90 acres of land on the west coast of Cornwall. The eighteenth century saw the end of the Stuart period and the beginning of the Georgian age, it was an age of expansion, an age of inventions that brought changes to the textile industry, the mining industry and in agriculture. In 1761, six years before the birth of William Mitchell, George III was crowned king of England. Remembered mostly for his spells of ‘madness’ he was also famous for his passionate interest in agriculture and because of this nicknamed Farmer George. 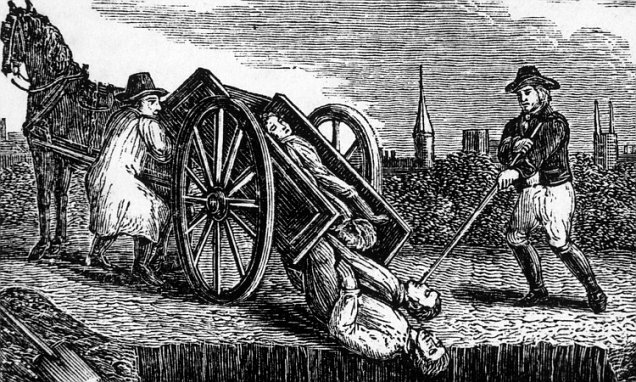 It was during his reign that England underwent an agricultural revolution where men such as Jethro Tull from Berkshire and Robert Bakewell from Leicestershire are credited with improving the life of those working on the land. During this time farming output almost doubled, an increase in the use of crops grown as food for animals allowed farmers to keep more livestock and this meant more meat was produced and sold in the markets to feed the growing population. 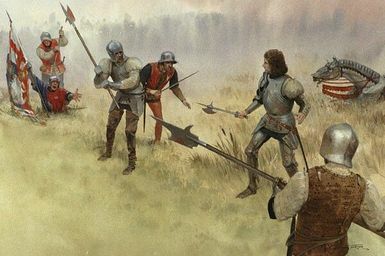 This revolution saw the introduction of new systems of cropping and selective breeding but interestingly, it has been argued that this revolution did not happen at all, that the increase in farm production was a slow progress of events beginning in mid sixteenth century and ending in the eighteenth. This agricultural revolution occurred at the same time as the more famous Industrial Revolution and Cornwall could lay claim to at least seven inventors in engineering alone, men like Sir Humphrey Davey, Adrian Stephens, and Henry Trengrouse. These Cornish born engineers were at the forefront of the Industrial Revolution but it was mining engineer Richard Trevithick whose invention benefited both industry and agriculture. Both injuries would have ended the kings life, but which came first? What doe's history tell us? 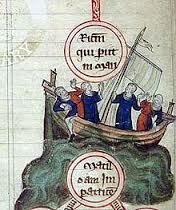 For more about Henry II please click on the link to my website. 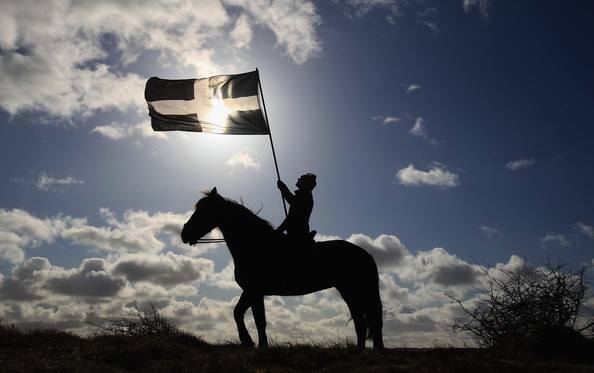 Happy St Piran's Day to you all. The Cornish cheered loudly when work began to uncover the ancient St Piran’s Oratory in Perranporth, it has taken the St Piran’s Trust fifteen years of campaigning to achieve this. You can read more about Cornwall's patron saint on my website.